Supershoes empowers children fighting cancer in the UK, enhancing physical & emotional wellbeing while raising awareness along the way. Empowered with Supershoes so far! 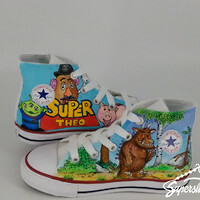 Supershoes are a registered charity that provides unique customised gifts for incredibly brave children and young people, who are receiving treatment or palliative care for Cancer in the UK. 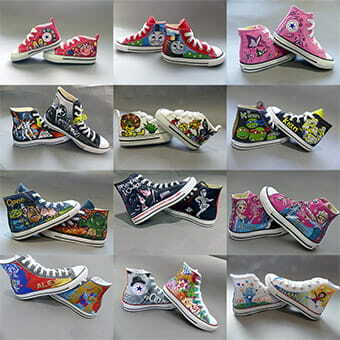 The gifts provided are hand painted customised canvas shoes - Hence the name Supershoes…! Supershoes are created to brighten a child who faces massive challenges every day. The gifts also promote mobility, by encouraging children who may otherwise feel too poorly to get out of bed and enhance emotional and physical wellbeing by providing a positive step on a difficult journey.